October | 2012 | Pray for Revival! As the Election Gets Closer, Let Us Be Steadfast in Prayer! The Church: Pray for the Church to be the Salt (flavor and preservation) and Light (revealing truth) for our city, state and nation. Righteous Leaders: Pray that no officials who call evil good and good evil will be put in positions of authority. The City: Pray for safety for children this evening; pray that there would be no fear but would experience the supernatural power and love of Jesus. The Church: Pray for the Church in America to have a spirit of humility and repentance, so that God may heal our land. The City: Pray for the media in our city to report with fairness, integrity, honesty and respect, avoiding sensationalism. …The Church: Pray that we as believers in Jesus Christ would truly repent for the condition of the Church in America; that the Church would be healed and walk in God’s full purpose. …Righteous Leaders: Pray for elected officials who fear You more than the opinions of man or the forces of evil. It’s not enough to know about him. It’s not enough to live an outwardly holy life that’s good enough to con most people. That hunger in our hearts is a longing for communion with Him. Lets pursue his presence. LINCOLN — The clouds rolled in this week. Thick ones with gray bottoms, bringing wind that stripped trees of their leaves and turned birds toward Southern homes. It’s been nearly one month since Nebraska’s football team played at home, and the weather perhaps best associated with its biggest, best-known conference games will surround the occasion. And on several levels, it is an occasion. Michigan — college football’s all-time leader in victories with 900 — comes to town for the first time in nearly 101 years to play NU, which ranks fourth in all-time wins. The helmets. The fight songs. A Legends Division lead at stake. History on a cold, prime-time stage. Do We Have a Prayer Closet? How Shall We Pray for Our Nation? • Pray for Christians to “wake up” to what’s happening all around us (Romans 13:11, “The hour has come for you to wake up from your slumber, because our salvation is nearer now than when we first believed”); to live with “heightened alertness” (1 Thessalonians 5:6, “Let us not be like others, who are asleep, but let us be alert and self-controlled”); and to realize that we’re in a real spiritual battle, and to engage in it (Ephesians 6:11-12, “Put on the full armor of God so that you can take your stand against the devil’s schemes. For our struggle is not against flesh and blood, but against … the powers of this dark world and against the spiritual forces of evil in the heavenly realms”). Can Revival Come During the Election Season? We are in the final throes of a very critical election in America. We’ve heard thousands of sound bites from every direction telling us, and the sheep we lead, exactly what the “real” problems are and what we “must” do. But where is the voice from the pulpit? What should we say to our people at this vital moment in our history? Is there no word from God? 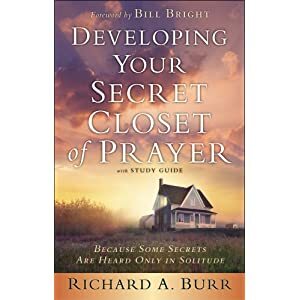 How can we help them cut through the noise, listen to God, and make choices that will yield spiritual results—choices with which God is pleased? God is still governing the affairs of men. God’s position is not decided by a popular vote. He is THE King. There is a throne established with ONE seated on it, and He is sovereignly ruling over the world He created. He is dispensing judgment where it is needed, and showing mercy when His people humble themselves, turn from their wicked ways, and cry out. Part of His judgment is to allow us to eat the fruit of our own rebellious ways. There is no political leader whose power trumps God’s. “The king’s heart is like channels of water in the hand of the LORD: He turns it wherever He wishes” (Proverbs 21:1). Look at God’s sovereign manipulation of Pharaoh and Cyrus—both emperors at the top of their game—to see how powerless they really were when the real King wanted to utilize them to accomplish His objectives. Often kings are used by God to execute judgment to bring His people to repentance. Sometimes kings were humbled so that God could deliver His people who were crying out to Him. One thing is certain: Our sovereign King is moving human history to its ultimate conclusions. And He is right on schedule. God’s Word is still the guide for every decision we make. With God as the perfect King, what He says is always right and authoritative. If, by the grace of God, we have become His faithful followers, His words are not only binding on us but also beneficial, because “in keeping them there is great reward” (Psalm 19:11). • What does the Bible say about the sanctity of human life? • What is the biblical definition of marriage? • What are the biblical directives about finances? • Does the Bible address homosexuality at all and, if so, what does God say? • What are His exact prescriptions about the poor, and to whom are those words addressed? Sadly, no political platform is purely and soundly biblical, so the best we can do is to consider those moral areas that are close to the heart of God and see which candidates line up most clearly with Scripture. We must understand deeply and respond accordingly to the truth that “Righteousness exalts a nation, but sin is a disgrace to any people” (Proverbs 14:34). This should be one more fresh moment to teach people about the authority and value of God’s Word for our lives. Show them, once again, how relevant it is to every area of life. When the light of God’s Word is thrown on the political path, the fog lifts quickly. The healing of our land will not come with a richer economy but with a repentant church. If I shut up the heavens so that there is no rain, or if I command the locust to devour the land, or if I send pestilence among My people, and My people who are called by My name humble themselves and pray and seek My face and turn from their wicked ways, then I will hear from heaven, will forgive their sin and will heal their land (2 Chronicles 7:13-14). Secular politics is almost always driven by money. Politicians know that if they can appeal to the greed in human hearts, they can get elected. But God’s great agenda in this age is His Bride. He is preparing her and perfecting her for a life in His eternal kingdom. His great desire is to expand the church with people purchased by His blood “from every tribe and tongue and people and nation” (Revelation 5:9).